I’m slowly starting to clean and declutter areas of our house. I’m using my Cleaning Checklist as a guide and decided to start with my refrigerator. 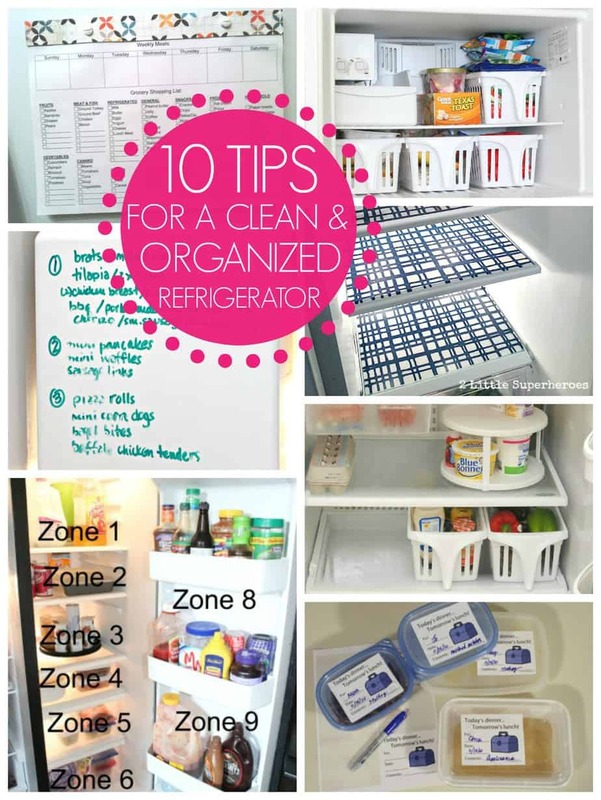 So today I’m sharing 10 Tips for a Clean and Organized Refrigerator. 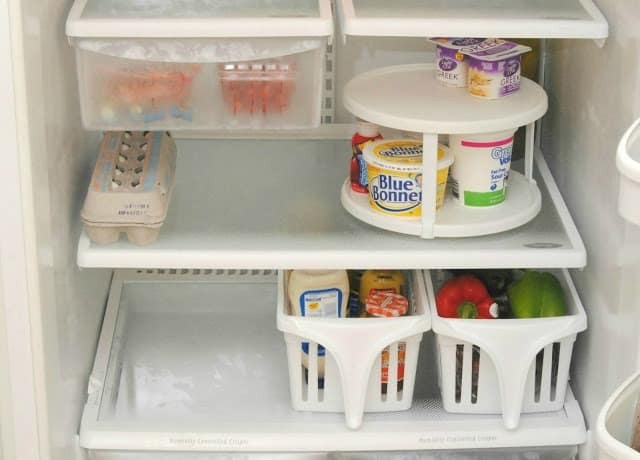 These tips make such a huge difference when cleaning and organizing your refrigerator. 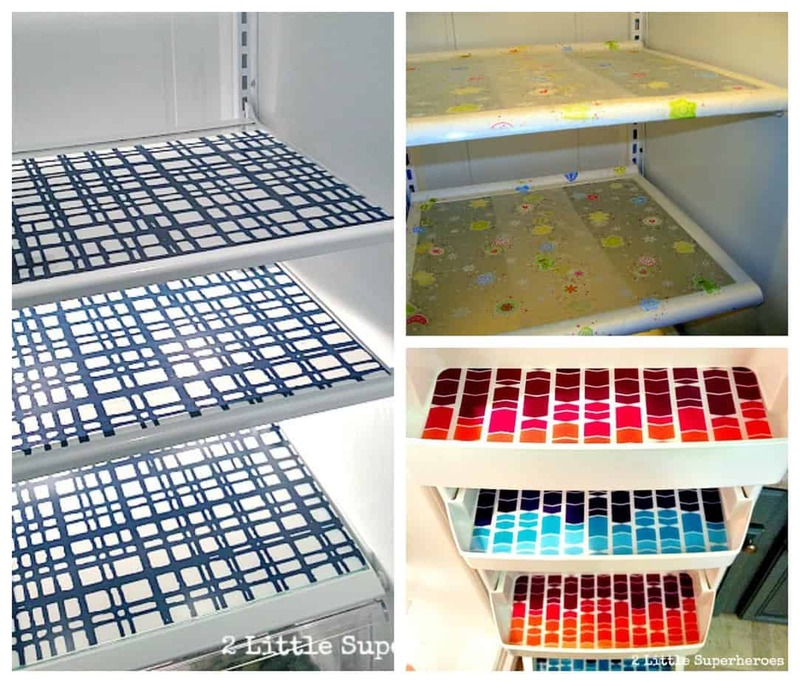 And I’m so happy with how my refrigerator looks now thanks to some of these tips. #1 – Use cling wrap, wax paper, and/or placemats in your refrigerator so you can quickly clean up spills. #2 – Set up zones. Such a great tip from As Jules is Going. #3 – Add baskets. These baskets from Walmart are cheap and I love the handles. 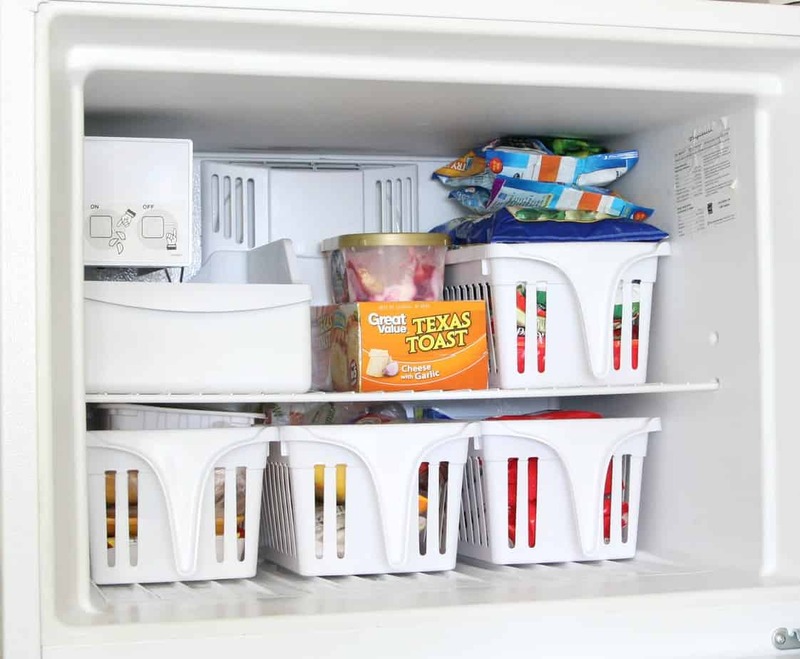 Tip #5 – Use baskets in the freezer too. Adding 4 baskets to my freezer made such a huge difference. I only wish I had done this sooner! Now everything has a place and I can quickly grab what I need instead of searching through everything. Tip #6 – Add labels. 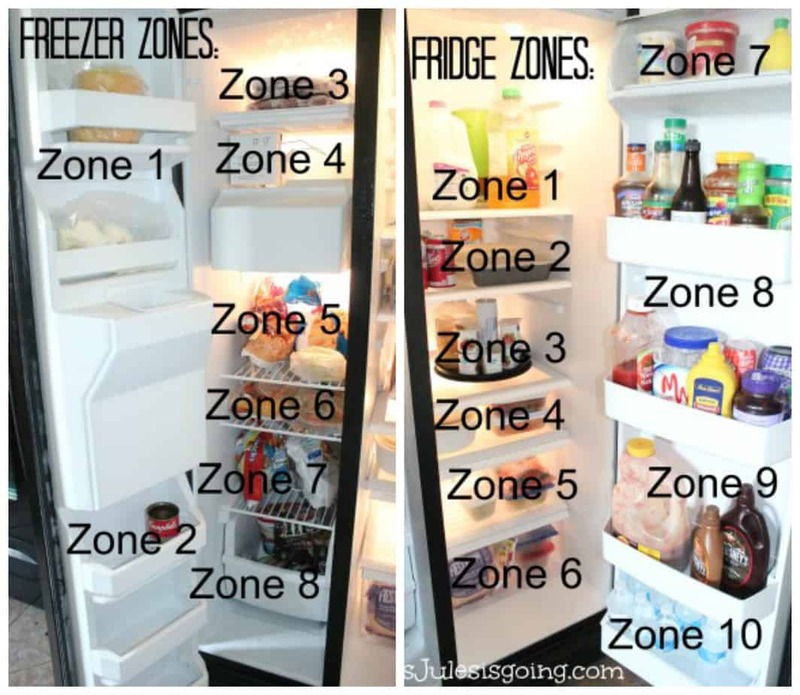 After you set up your zones, use labels to label where everything belongs. 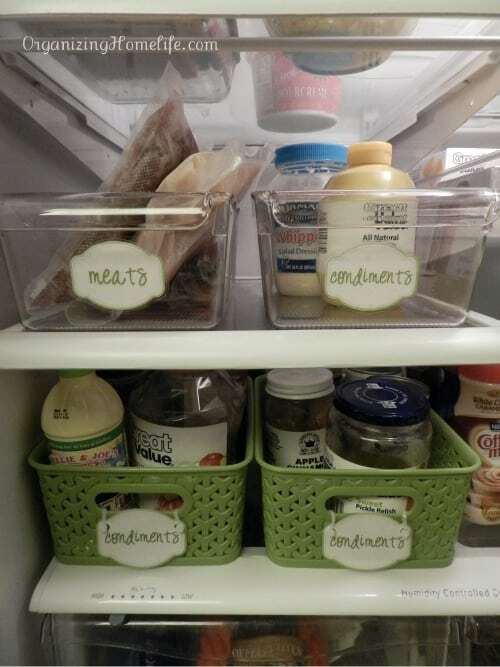 You can print out these labels over at Organizing Home Life. 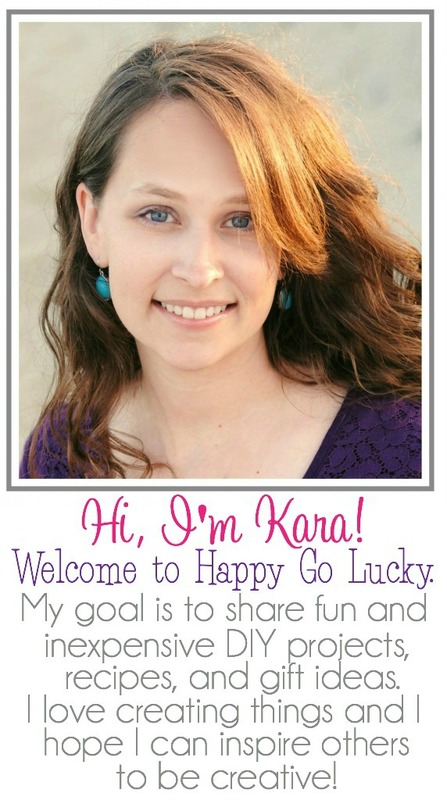 Tip #7 – Jessica from Mom 4 Real is a genius!! 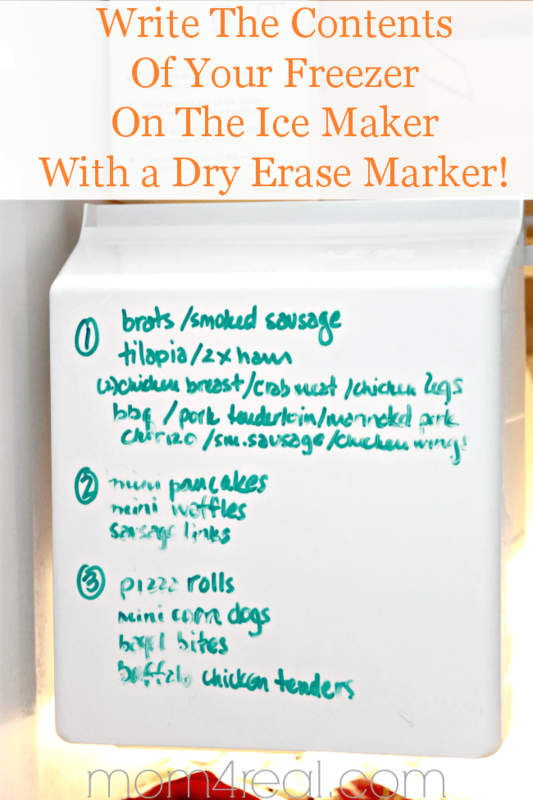 She suggests writing the contents of your freezer on your ice maker with a dry erase marker so you always know what you have. Such a great tip! Tip #8 – Use labels to label leftovers and stuff you put in the freezer. 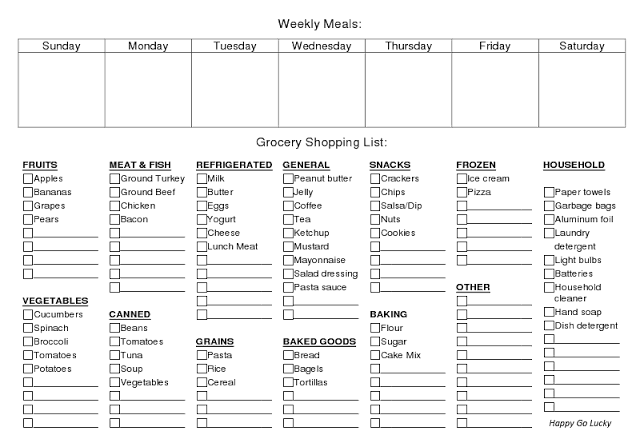 Tip #9 – Use my Meal Planner and Grocery List Printable to keep track of what you need at the grocery store. I keep mine on the side of my refrigerator so I can quickly add to the checklist. 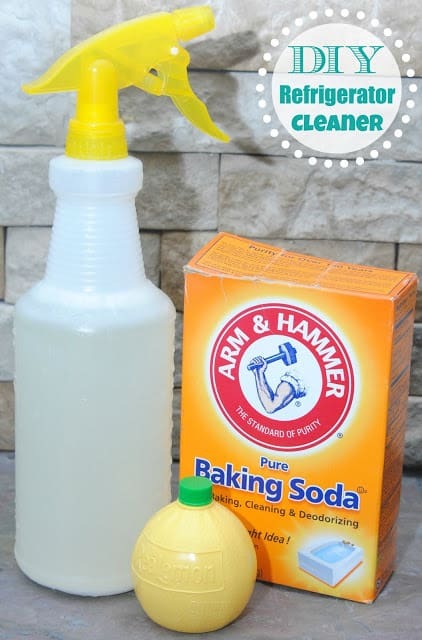 Tip #10 – And I’ve got a great DIY Cleaner that is perfect for cleaning out your refrigerator. What tips and tricks do you have for keeping a clean and organized refrigerator? Lovely tips! I need to clean the refrigerator soon and I really wanted to make it naturally! Thanks for the post! It definitely is very helpful! Greets, Ickenham Carpet Cleaners Ltd. I agree that you should use cling wrap to prevent spills. I think this is especially true if you have kids in the home that like to make messes. The fridge is the ultimate play station for little toddlers once they learn how to open its door. Pretty useful tips! I plan to clean my fridge soon and I feel overwhelmed when I think of how much work is to clean the fridge. I definitely need to make a list and have a good plan before I start. Thanks for sharing!